I just saw this question on Apple Communities Center. As a matter of fact, many Apple users would come across such kind of questions since Mac computer supports media files in only a few formats. Well, this guide would show you different ways on how to convert WMA to M4A Mac for iTunes, and other media players and devices. Before we learn how to convert WMA to M4A on Mac, we firstly get into the basic knowledge of WMA and M4A formats. WMA, short for Windows Media Audio, is a file extension used with Windows Media Player. WMA is both an audio format and an audio codec. WMA was intended to be a competitor for the MP3 and RealAudio audio formats. There are 4 types of WMA codec: WMA (the original codec), WMA Pro (an improved lossy codec intended for audio professionals), WMA Lossless (a lossless codec intended for archival and storage purposes), and WMA Voice (a lossy codec designed for low bandwith voice playback applications). M4A, representing MPEG-4 Audio, is a file extension for an audio file encoded with advanced audio coding (AAC) which is a lossy compression. M4A files are most often found in Apple’s iTunes Store as the format of song downloads. M4A files could reduce the size of the audio file. Some M4A files may instead use the Apple Lossless Audio Codec (ALAC). On Mac computer, if you want to open WMA files, you have to adopt to 3rd-party media players like VLC, Leawo Blu-ray Player, etc. While on the other hand, lots of programs support the playback of M4A files, including iTunes, QuickTime, Windows Media Player (v11 requires the K-Lite Codec Pack), VLC, Media Player Classic, Winamp, etc. Also, M4A files are welcomed by iPod and iPad, and have less storage requirement. Therefore most people would like to convert WMA to M4A. The below steps would show you how to convert WMA to M4A iTunes on Mac in different ways. To convert WMA to M4A on Mac, you need a Mac WMA to M4A converter program. 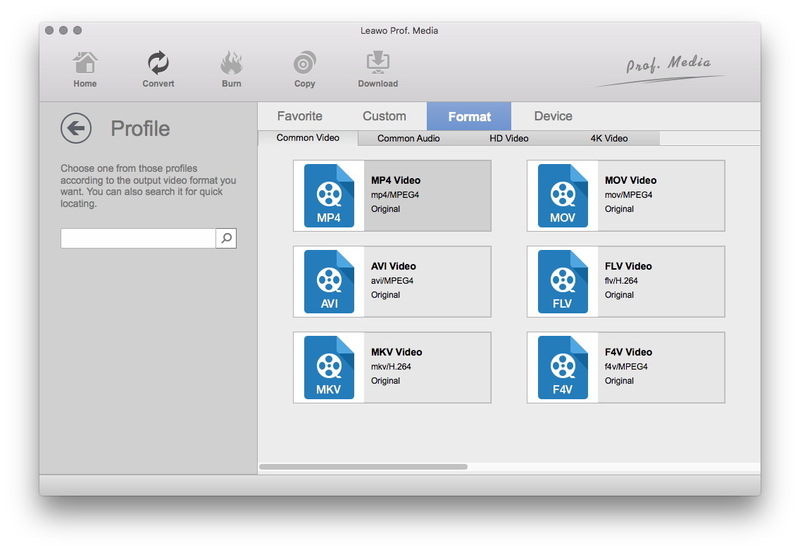 Leawo Video Converter for Mac is the best WMA to M4A converter for Mac you could choose. It could convert videos between 180+ formats for almost all media players and devices you could get on this earth, including WAV to MP3 on Mac, AVI to MP4 on Mac, MP4 to MP3 on Mac, etc. What’s more, you could even use this Mac video converter to edit videos and audios, apply 3D effect to videos, create photo slideshow videos, etc. Download and install this Mac WMA to M4A converter on your computer. Follow the below steps to learn how to convert WMA to M4A on Mac in detail. 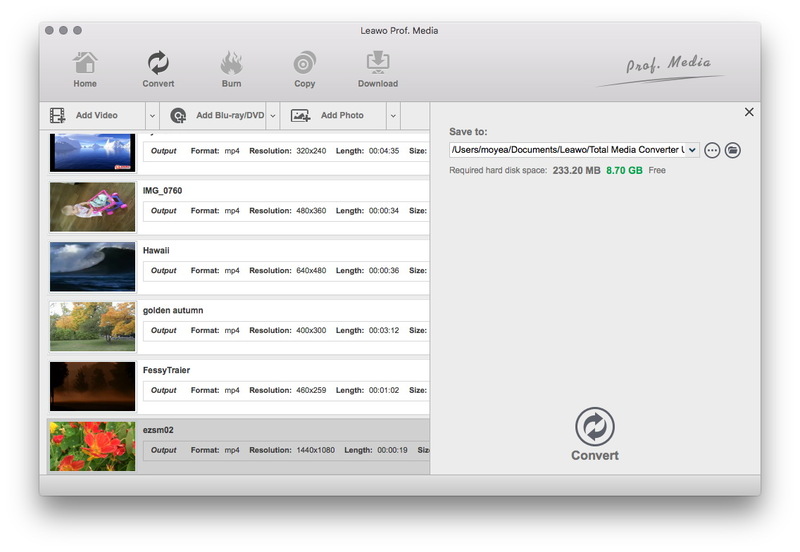 Launch this Mac video converter and hit the “Convert” module. Then, you could directly drag and drop your WMA audio files into this Mac video converter. You could play back loaded WMA audio files and view details of them. Right before the big green “Convert” button, you could see a clickable drop-down box, by clicking which you could see a drop-down panel with 3 options: Edit, Change, and Apply to all. Click the “Change” button. On the newly popup “Profile” panel, open “Format > Common Audio” successively to choose “M4A Audio” as output format. Finally, click the bottom “Convert” button on the sidebar. This Mac WMA to M4A converter would immediately start to convert WMA to M4A Mac for your iTunes and other players. It will take you a few minutes to finish the Mac WMA to M4A conversion. After conversion, you could import converted WMA audio files (now in M4A format) to iTunes. Click to learn how to add files to iTunes. 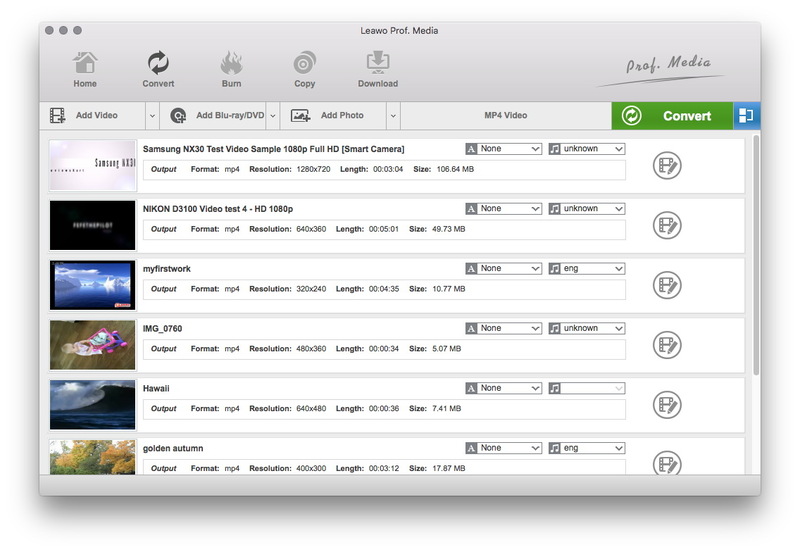 Besides Leawo Video Converter for Mac, you could also make use of other Mac WMA to M4A converters to convert WMA to M4A on Mac, such as online video converter tools. 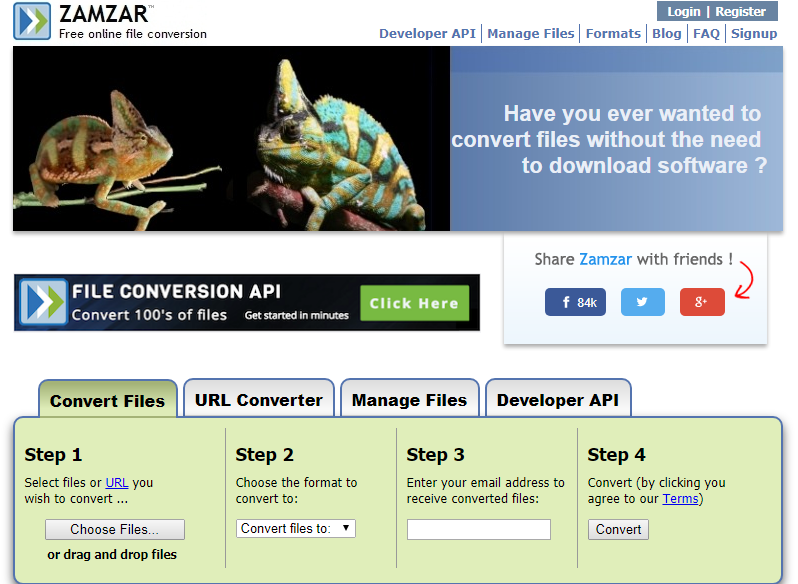 ZAMZAR is one of the top-rated online video converter that could help you convert WMA to M4A on Mac in simple clicks. Check the below steps to learn how to do it with this online Mac video converter. 1. Click the “Choose Files” option. This will lead you to browse and upload WMA audio files from your Mac computer. 2. In “Step 2″ box, click the “Convert files to” drop-down box to select M4A from “Music Formats” as target format. 3. In “Step 3″, input your email address to receive the output M4A files. 4. Then, click the “Convert” button in “Step 4″ box. Then ZAMZAR would start to convert WMA to M4A on Mac for you. Well, you then only need to wait for the conversion. This free online video converter would show you an option to download the converted WMA audio file after conversion finishes. Many people would think that “Why should I use Leawo Video Converter for Mac if ZAMZAR works for converting WMA to M4A on Mac”. Well, we’ve made a very brief comparison between these 2 Mac video converters for you. You could then find the differences, and advantages and disadvantages of each.